The story begins when Susan Simmons returns to school from spring vacation. Susan has been looking forward to the big class play her teacher has been planning. But to her dismay, Ms. Schwartz is gone…replaced by tall, handsome Mr. Smith, a strictly “by the book” teacher with some very strange habits. Investigating her new teacher, Susan makes a shocking discovery: “Mr. Smith” is actually an alien named Broxholm who is planning to abduct five students. Susan has to stop him! But who will believe her story? Her only chance is Peter Thompson, the class’ biggest geek. 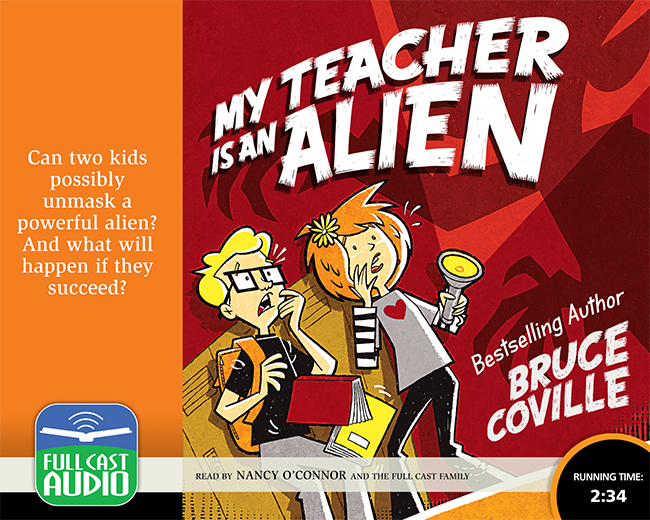 Can two kids possibly unmask a powerful alien? And what will happen if they succeed?